Any motorist that is found driving with over 80 mg of alcohol in their blood is liable for a DUI charge. These types of charges also apply for drivers who are found to have drugs in their system. Those who refuse to take a Breathalyzer test can also find themselves charged. Impaired Driving – this charge arises when police suspect a motorist has alcohol or drugs in their system. Over .80 – this charge refers to a breath or blood sample that shows the person has over 80 mg of alcohol in their system. Failure to provide a breath sample – If police make a request of a motorist to provide a breath sample and the request is refused, without reasonable grounds, then a criminal charge can be laid. DUI charges are very serious and can cost you more than just a hefty fine. It can result in the loss of your license, jail time and even a criminal record. Having a criminal record can hurt your future by hindering employment opportunities. It is also legal for a landlord to refuse to rent to you because of your criminal record. Because the penalties can be great in these cases it is important to have a experienced lawyer defend your case. DUI charges can be complicated, and an expert understanding of the situation and the law are required to secure your future. At Jag Virk, we are skilled at having the charges withdrawn or substantially reduced. Our lawyers also have extensive trial experience and are able to walk you through each step of your defence. We will never leave you in the dark about your case. Let us help you get past your DUI charge and on with your life. We’ve been involved in hundreds of cases and have received ongoing attention in the media. 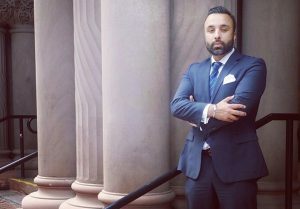 You can rest assured, your case is in good hands with Jag Virk Criminal Lawyer.